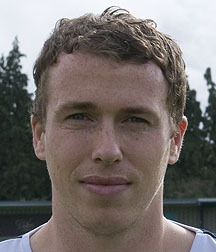 Ian Baird’s Spitfires play 16th placed Boreham Wood on good Friday at Meadow Park in the Blue Square Bet South. After a 0-3 loss to Ebbsfleet United which saw ex Spitfire Ashley Carew scoring two of the goals for The Fleet, this game is a must win for The Spitfires with three games to go and three points behind 5th placed Woking. The Wood’s last game was against Dartford where they won 1-4 away with Mario Nato scoring a hat-trick and David Bryant rounding a comfortable win for Boreham Wood. The Wood have won two,drew one and have lost three out of their last six games.The Spitfires have won two and have lost four out of their last six games. Boreham Wood have kept seven clean sheets (four of which away) and have failed to score fives times (three of which at home) out of their last 20 games. The Spitfires have kept six clean sheets (four of which away) and have failed to score five times (once away) out of their last twenty games. The last time these two met was at The Silverlake Stadium last October where Eastleigh won 3-0; Tony Taggart opened the scoring with a header in off the post in the first minute. Richard Gillespie doubled the score with a cool finish from a inch perfect Jamie Slabber lobbed pass..Chris Holland made it three with a powerful header in off the crossbar from a Tony Taggart corner however only four of their starting eleven in that game started in their last game against Dartford. This is a massive game for Eastleigh as The Spitfires have to win to be in with a shout of a play off spot. By Car – A1 towards London from M25, first turn off for Boreham Wood, head for town centre, into Brook Road at roundabout before town centre, Broughinge Road is first left. One mile from Elstree and Boreham Wood station. Admission to Boreham Wood FC Blue Square Conference South games is: £11 for Adults & £6 for Children & OAP’s. Programmes are £2.